Lambeth Council has approached all the residents’ associations in our area about its plan to invest in a Neighbourhood Enhancement Programme. The Neighbourhood Enhancement Programme is about street improvements for all the streets in the triangle between Stockwell, up to Oval and Vauxhall. Lambeth has given us a number of options to chose from. Please have a look at the online questionnaire we’ve created. There are only 10 questions to respond to. It should take five minutes to fill out the questionnaire. We’ve asked for your name and contact details at the bottom of the questionnaire. You don’t need to tell us who you are unless you want to. We’ll only use this information to let you know what progress we’re making or to ask any questions if you have specific queries. VAUXHALL BUS STATION TO BE REPLACED? – NEW HIGH STREET FOR VAUXHALL? – ONE WAY SYSTEM/ GYRATORY TO DISSAPEAR? What will make Vauxhall A Lovelier Place? It could be argued that a great deal of development has got through planning without a proper or engaged debate about the needs of the existing communities around the Vauxhall Nine Elms development area (VNEB). The VNEB development is 195 hectares- a colossal area- larger than Hyde Park and it is proposed that more than 16,000 homes will be built. There will not be many more opportunities to input into the overall planning picture and this should be considered a last chance to really influence Lambeth to get the best solutions for Vauxhall. WHERE ? : The council is holding open days on Wednesday 14 and Thursday 15 March (3pm to 8pm) at Unit 13A, St George Wharf, Vauxhall SW8 2LL. All are welcome to share their views. WHY ? : The council is currently preparing a supplementary planning document (SPD) for Vauxhall area that will guide development in that area for the next few years and it wants to hear people’s views about what the priorities should be. The council is putting forward a number of ideas that will make it clear what kind of development will be welcome. This includes the creation of a new public square that would provide a focus for the area, and the potential for replacing Vauxhall bus station with bus stops along a new high street lined with shops. “We want to create a proper town centre in Vauxhall and remove the physical barriers, like the gyratory, that make this difficult. The council says it wants to wants to consider ambitious plans to remove the gyratory and reintroduce two-way to get a better balance between cars, walking and cycling. Last year the Mayor of London Boris Johnson told the London Assembly that abolishing the one-way system would cost “in excess of £20 million”. Last month Mr Johnson said: “TfL is continuing to work closely with the London Borough of Lambeth and the GLA to develop short and long term proposals to improve Vauxhall gyratory for all road users. “There are currently a number of options that are being considered and discussions are continuing between the public bodies, landowners and other stakeholders, although no agreement on a preferred solution has been reached as yet. “TfL hopes to be in a position to provide a further update by the middle of this year. One of London’s first two ‘cycle superhighways’ is due to run along Clapham Road and should be operational along its full length from Merton to the City by the summer. The scheme promises ‘a safe, fast, direct, continuous and comfortable way of getting from outer to central London by bike along recognised commuter routes’ according to Transport for London. A survey will be conducted to assess the impact of reducing the two lanes heading northbound towards the A3 at the Stockwell Gyratory to one lane, allowing the installation of a new segregated cycle lane at this location. Meanwhile, of course, the existing London Cycle Network route 3 winds its way from Clapham Common to Waterloo along Aldebert Terrace and Stephen’s Terrace, dealing with busy main roads largely by avoiding them. 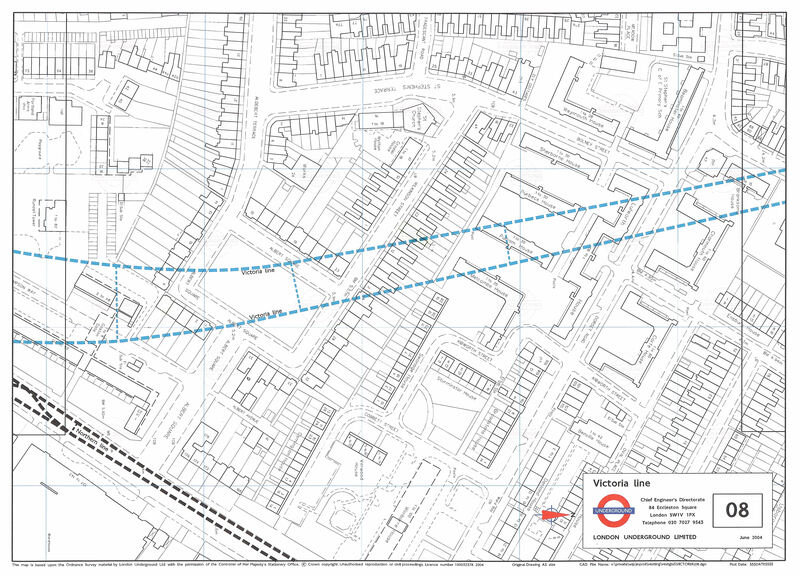 That’s the paler blue route on the map below – an extract from a larger map showing the whole route of the new cycle superhighway – which casually allows Meadow Road to cross South Lambeth Road to join up with Larkhall Lane, so let’s hope nobody tries to use it to find their way. 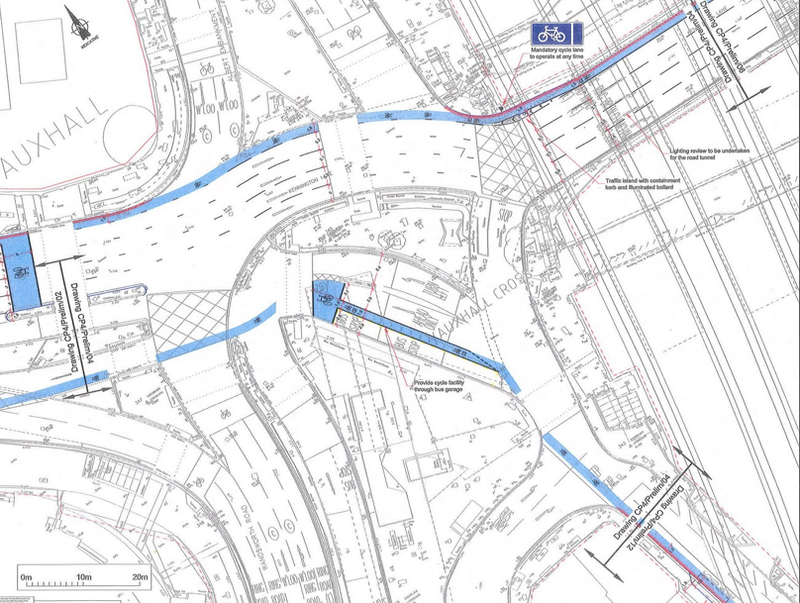 But how super will the cycle superhighway really be? Andreas Kambanis, who blogs as the London Cyclist is not optimistic, comparing what, on past form, we are likely to get in London with the rather more ambitious plans for cycle superhighways in Copenhagen. No prospect for us of copying the ‘green wave’ which means that cyclists travelling at a steady 20 kph will get green lights at each succeeding junction – but at least a recognition that cycling is increasingly one of London’s core modes of transport. As many residents are all too well aware, we live on top of the Victoria Line, a largely benign subterranean neighbour since its arrival forty years ago. In the last few years, though, the level of noise and vibration has grown to the point where it is a serious problem for some people who live very close to the line of the route. The map below shows the two Victoria Line tunnels coming down from the north (the right edge of the map) and starting to curve as they come in to Albert Square to line up with the Northern Line tunnels (at the bottom left of the map) for the parallel platforms at Stockwell. Click on the map to see a much larger version. Transport for London came to an ASSA meeting last month to explain what they were doing about the problem, but seemed to be slightly baffled by it. Their normal approach is to grind the rails where excessive noise is being produced. 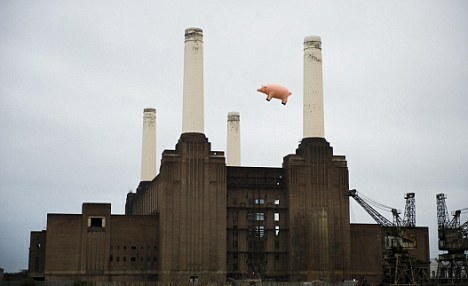 That was done last August – but without resulting in any reduction in noise. They are considering what more they can do but it was pretty clear that they don’t have an specific ideas. We will keep you informed about progress in discussions with TfL, but if you want to know more or if you are directly affected, please email assacan@assa.org.uk or call Chris on 07971 198555.